– Germany’s Konstanze Klosterhalfen talking about running 8:36.01 to win a 3,000m national title and break a 30-year-old national record on her 21st birthday. 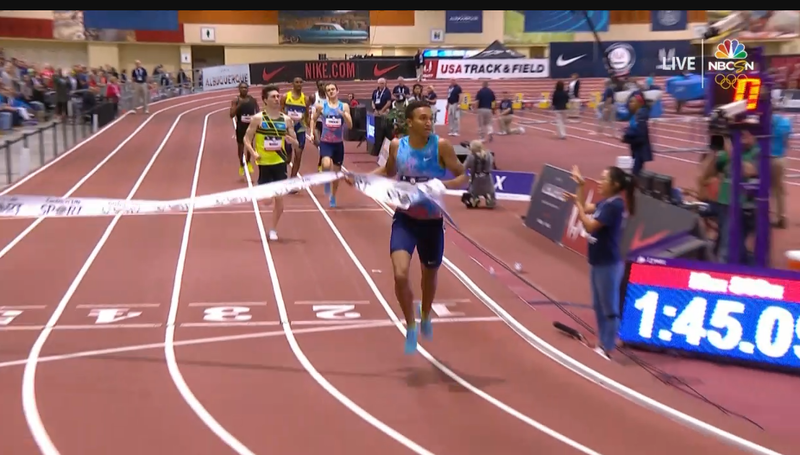 Can Coleman get Bolts 9.58? 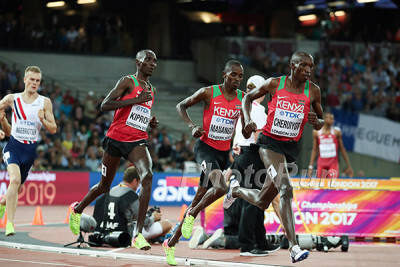 Minimum 5000m time needed for OTQ Marathon (2:19:00)? American “scams” her way into the Olympics: terrible or admirable? 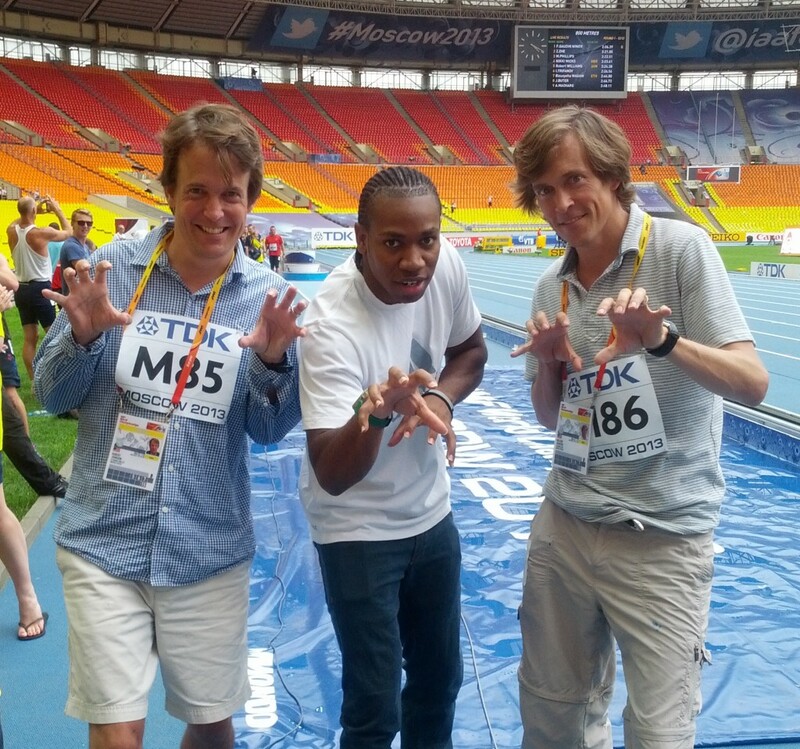 Kemoy Campbell Signs With Reebok????????? 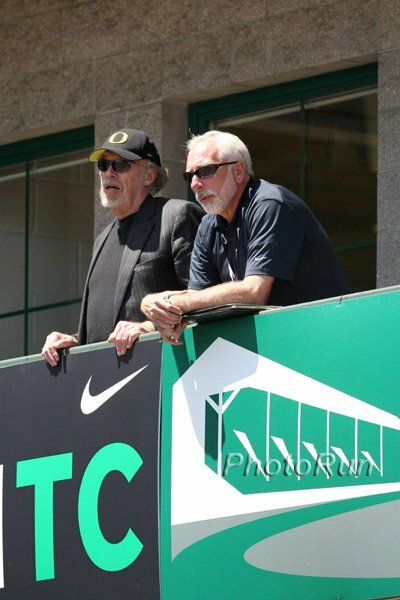 Do running surfaces really matter? 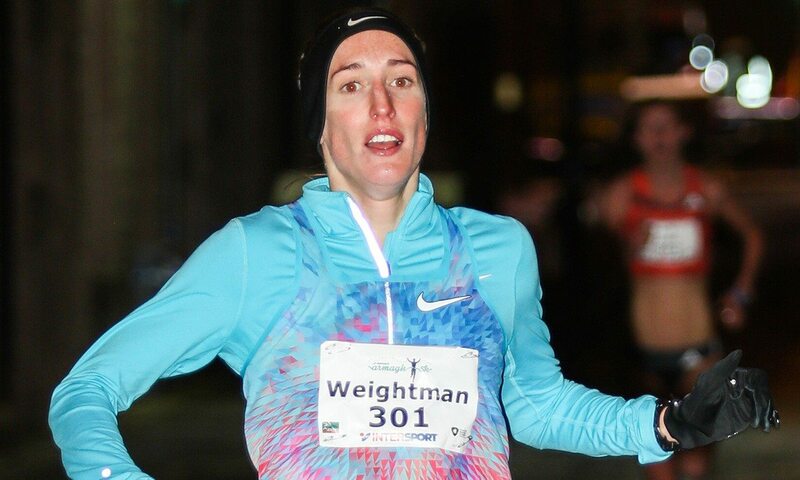 LRC WTW: Morgan McDonald Runs Fast Down Under, A Lot Of Americans Ran Fast And Missed Worlds, International Indoor Update, Drew Hunter Update Plus meet the woman who is the #1 800 woman in the world in 2018 after a 10+ year break from competition. 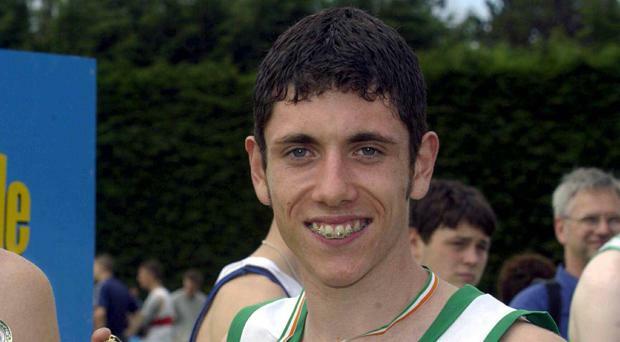 33-Year-Old Irish Distance Runner Jamie McCarthy Dies In Car Accident In South Carolina McCarthy was a member of the Irish team that won silver at the 2004 Euro Junior XC Champs. Russia’s Former Olympic And World Hammer Champion Sergey Litvinov Dies At 60 Litvinov’s 86.04 PR from 1986 is still #2 all-time. 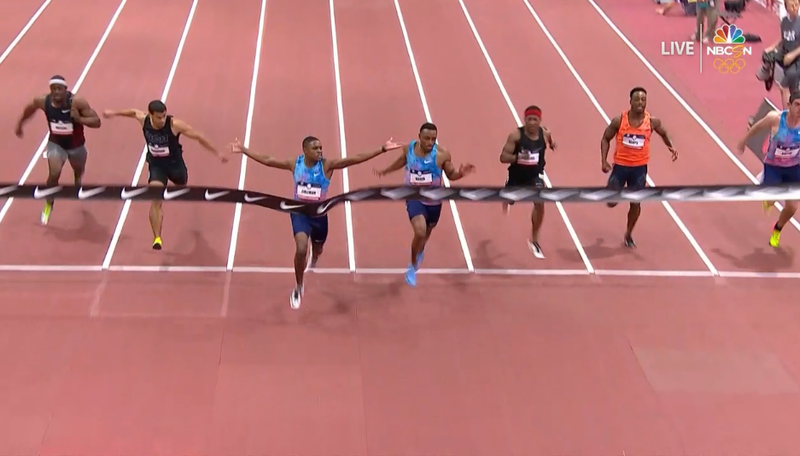 USATF: Javianne Oliver Runs World-Leading 7.02 To Win Women’s 60 (Ties #6 All-Time US) Courtney Okolo edged Shakima Wimbley by a 51.16 to 51.17 margin in the women’s 400, while Jarret Eaton (7.43) edged Aries Merritt (7.46) and Devon Allen (7.49) in the 60H. Ryan Whiting won his 4th indoor men’s shot put crown in 8 years. 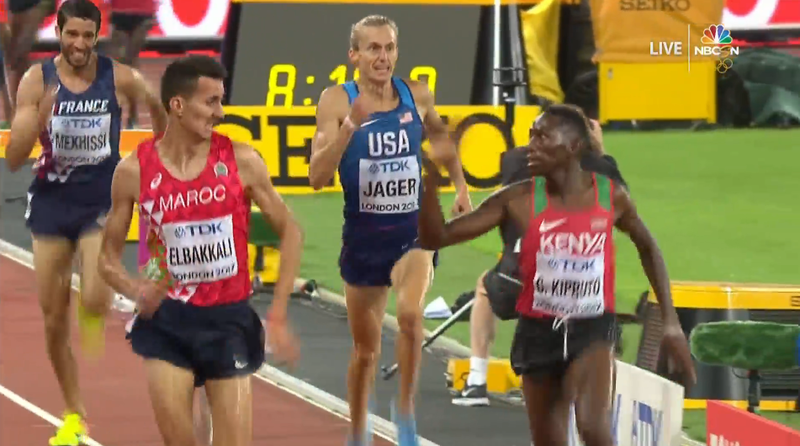 LRC 2018 Tokyo Marathon Men’s Preview: Wilson Kipsang Looks to Repeat; What Can the Japanese Men, Led By the Daring Yuta Shitara, Do? Tokyo may not have cachet of London or Boston but it’s by far the best marathon for US fans to watch as it’s on during prime time in the US. We get you ready for Saturday night’s race. 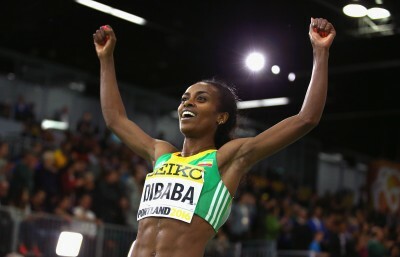 Genzebe Dibaba Will Do The 1,500/3,000 Double At World Indoors World Indoor 1,500 silver medalist Dawit Seyaum is also doing the 1,500/3,000 double while the men are led by defending 3,000 champ Yomif Kejelcha, Hagos Gebrihiwet and former World 800 champ Mohammed Aman. 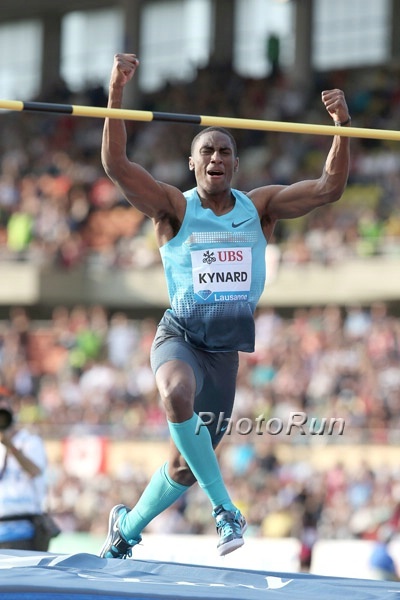 World Silver Medalist Adam Kszczot And Pole Vault World Leader Piotr Lisek Lead Polish Squad Of 25 For Birmingham 2018 Angelika Cichocka will do the 1,500/800 double. 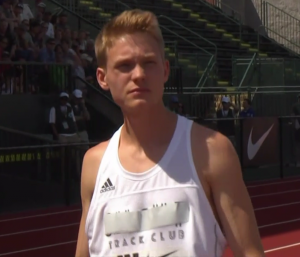 IAAF: 17-Year-Old Riley Day Highlights Youth Break Out At Australian National Champs By Winning The 100/200 Double In men’s distance action, Luke Matews took the 800 in 1:45.90, Ryan Gregson had a great kick to win the 1,500 in 3:39.66 over Jordan Williamsz (3:39.85), Morgan McDonald ran 13:19.95 in the 5,000 to beat out former NCAA champs David McNeill (2nd – 13:19.51) and Patrick Tiernan (4th – 13:26). 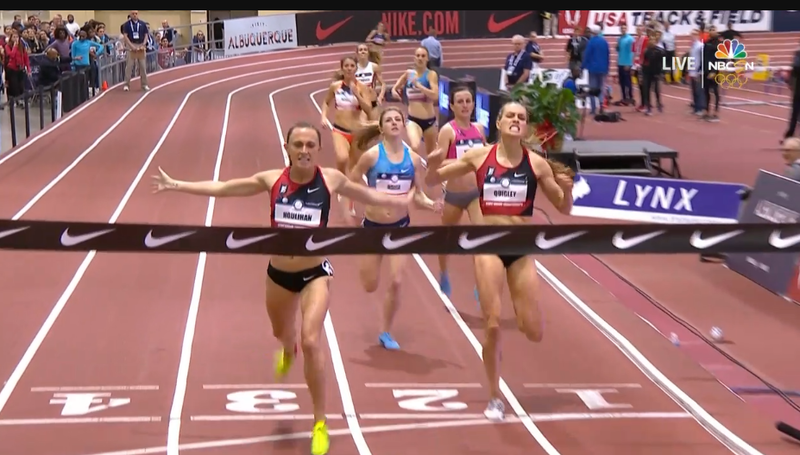 On the women’s side, Sally Pearson won her 9th 100H title and Linden Hall outkicked Zoe Buckman to win the 1,500. Morocco’s Soufiane El Bakkali And Home Favorite Salomé Rocha Win Almond Blossom XC Race In Portugal They didn’t have as stiff competition as expected as the Kenyan runners didn’t make it due to visa issues. 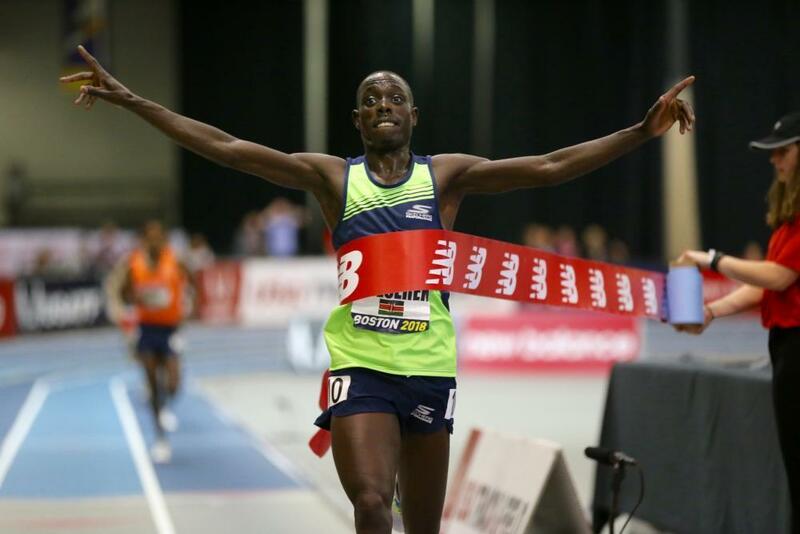 Kenyans John Nwangangi (63:49) Diana Chemtai Kipyokei (70:00) Win Guadalajara Half Marathon Nwangangi beat out his countryman Rhonzas Kilimo by just one second with Ethiopia’s Dawit Fikadu another three seconds back. Germany’s European Silver Medalist Konstanze Klosterhalfen Runs 8:36.01 To Win National Title And Break German Indoor 3,000 Record Other interesting results included Tatjana Pinto running 7.06 to run the fastest 60m by a German since 1988 and the Lavillenie brothers (Renaud and Valentin) going 1-2 in the French Champs PV with 5.83m and 5.72m. At the Dutch Champs, Dafne Schippers won in 8.09. 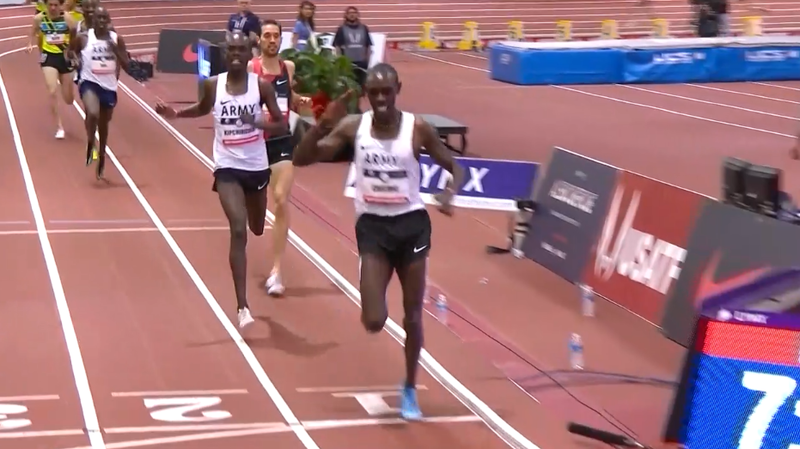 MB: “LRC Singlet Guy” Benjamin de Haan Wins 3,000 At Dutch Champs He made a solo attempt for the 7:52 world indoor standard, but didn’t get it, winning in 8:07. 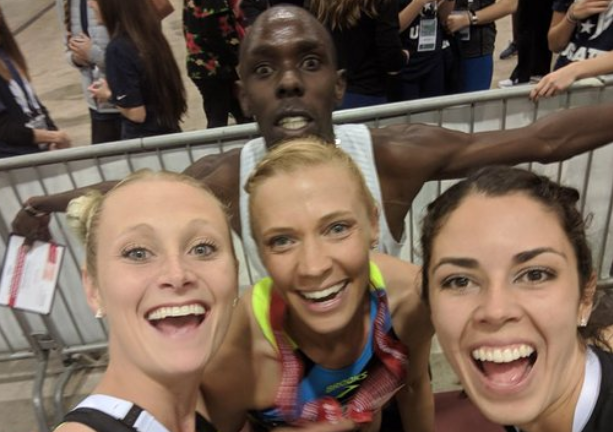 IAAF Full GB Indoor Champs Recap For more specific coverage scroll to the British Indoor Champs section further down on the LRC homepage. 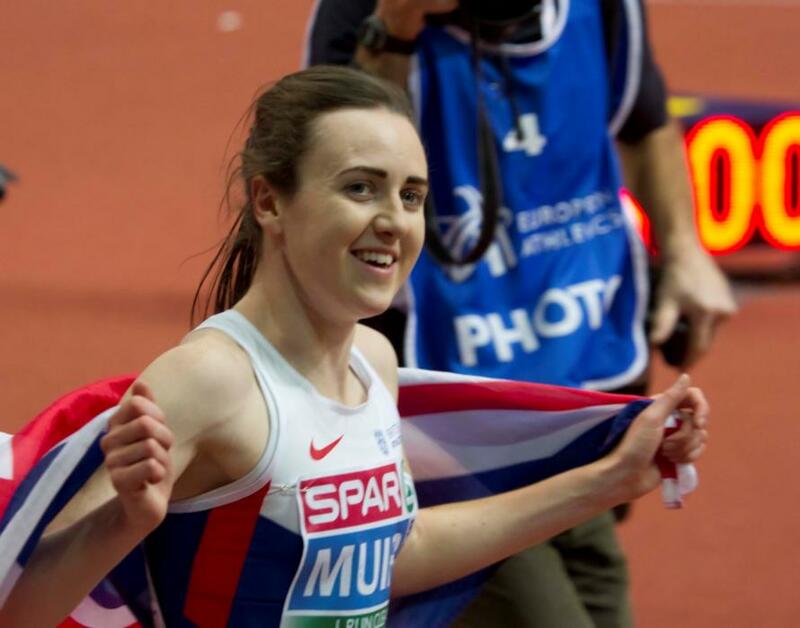 Laura Muir, Greg Rutherford And Katarina Johnson-Thompson Lead GB Team Of 31 For World Indoors Muir and Eilish McColgan will both do the 1,500/3,000 double; Chris O’Hare in the 1,500.